TechNique 2016 had five apps real estate agents should know about. MyFirstAm's app offers one-touch farm prospecting with mail merge and printing. Builder Boost is becoming the one-stop-shop for pros needing new homes in Texas. Everything is bigger in Texas, right? 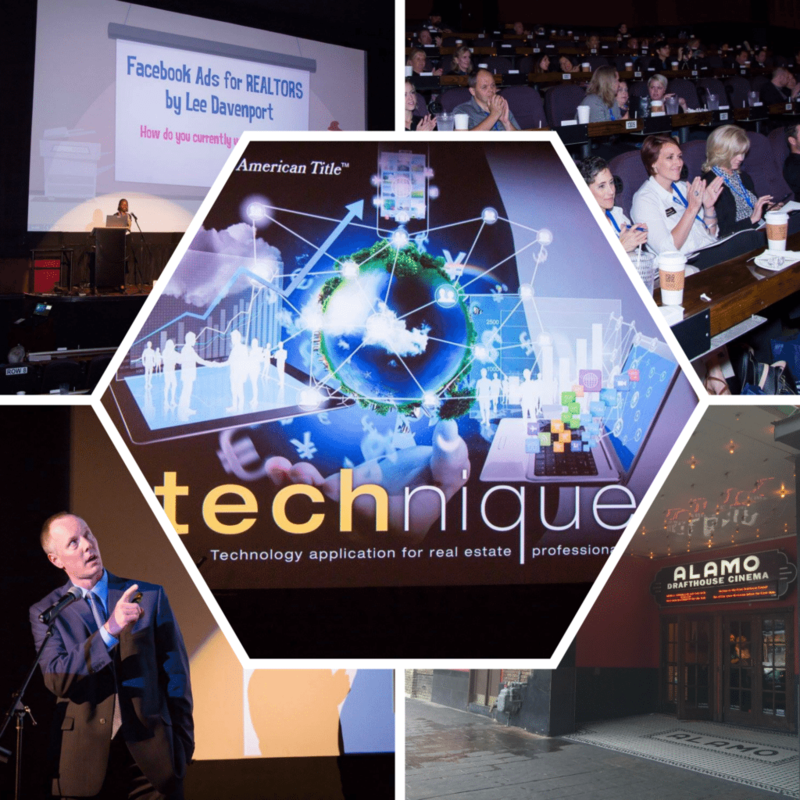 Well, the TechNique (technology application for real estate professionals) Conference held at the Alamo Drafthouse Theater in Austin, Texas, certainly made me a believer of that statement’s truth. TechNique was a three-hour conference power-packed with tech resources to grow and manage your real estate practice. Missed it? Well, let me get you up to speed with my five application takeaways. And, hopefully, there will be a TechNique 2017 that you can personally attend. For starters, I have heard of title insurance companies offering apps that appraise real estate professionals of their services — no big whoop. Also, you might have a company or portal app that allows you to create property searches — nothing novel here. But I was in awe of Michael Kelly’s succinct review of First American Title Insurance Company’s myFirstAm app’s feature that offers one-touch farm prospecting (with up to nine farm areas) with mail merge and printing options. What — the what? You read that right. myFirstAm’s app offers one-touch farm prospecting with mail merge and printing. There are not many apps that allow you to prospect your desired farm area, but First American’s myFirstAm can prospect and help set up your mailings — this is truly a noteworthy app. For example, if you have a listing (123 Main Street), you can access the details for the surrounding homeowners by touching the app’s icons of their homes or drawing a polygon around the neighborhood. Then, with a few taps you can merge the mail data into Avery labels or send the data to FA Print (First American’s in-house printing service that prints and sends direct mail for real estate pros). As a bonus, you can create and send CMA reports from the myFirstAm app, helping to consolidate your workflow to just one app. And make no mistake, this First American’s app does not ignore the basics like tracking title/escrow orders to see what is in the queue for your clients. This app rates at 4.7 in the Google Play store and 5 in the iTunes Store (both on a five-point scale) so you know I am not “pulling your chain” about its innovativeness. Certain things are not for the eyes and ears of the general public. Now, of course, I am not referring to ethical quandaries or confidential information that can comprise your client’s negotiating position. Rather, there are things that we try to squeeze in special/private remarks or try to share with agents when they call on our listings. Using traditional modes of communication, we might forget something or not have enough space to relay all of the pertinent details. To overcome these nuances, welcome the new app, Broker Think Tank. If you missed Craig Rowe’s expert review, Broker Think Tank is a fun new iOS app that gives only real estate pros the inside track on your hot listings. This is the brainchild of the dynamic duo Kathleen Wainwright and Tony Latto. Broker Think Tank efficiently helps you promote your listings while you are out and about, using today’s creature comforts of video, email, text and social media all from one app. I love one-stop-shop apps that allow us to do more in less time, and this definitely fits the bill. Here is a cute video showing Broker Think Tank in action. If you have ever felt dread when a potential buyer client asks about all of the new home construction inventory (because of the scatteredness), Builder Boost was created to ease such anxiety. As I said, I like one-stop-shops, and Builder Boost is quickly becoming the one-stop-shop for real estate pros exploring new homes in Texas. Kim Gulley’s Builder Boost is committed to bringing you the latest and most relevant contacts and information in new home construction, inventory and resources. But here’s why you should care if you are not an Austinite: she has attainable ambitions of expanding to your town so this might soon be a resource you can use in any part of the country. 1. Your buyers want to know the details about some homes outside your carefully planned agenda examining a specific radius. 2. Your sellers want to know how their home compares to the cross-town home of their bestie Bianca. A. Tell them you will email it later once you run back to your office? B. Run a new CMA report in a snap from your mobile device? CMASnap makes creating a detailed CMA on the go from your mobile device (phone, tablet and laptop) doable. Tom Cunningham shared that this app has its origins in the Austin, Texas, market but he wants to see it expand. If you ask (hint, hint), you might see this cutting-edge app in your MLS location sooner rather than later. Of course, you want to stay top-of-mind with your existing audience of fans, followers and friends. Facebook Live Streaming is the new tool to help you build and grow your real estate brand. John Reinwald of First American Title Insurance Company slayed this topic by sharing best practices. He gave the how-tos of creating and promoting live streaming videos on Facebook that will actually get watched, instead of getting you blocked or muted by your network. And I had the privilege of sharing my favorite way to capture bona fide leads from those you do not know on Facebook: Facebook Lead Ads. This has been a game-changer for all marketers on Facebook, including for fellow Realtors. If you missed my session at TechNique, then be sure to catch the special webinar (no fee) I am doing on this topic for Inman this June. What resources are on your wishlist to help you better manage your business this year? Share in the comments below.